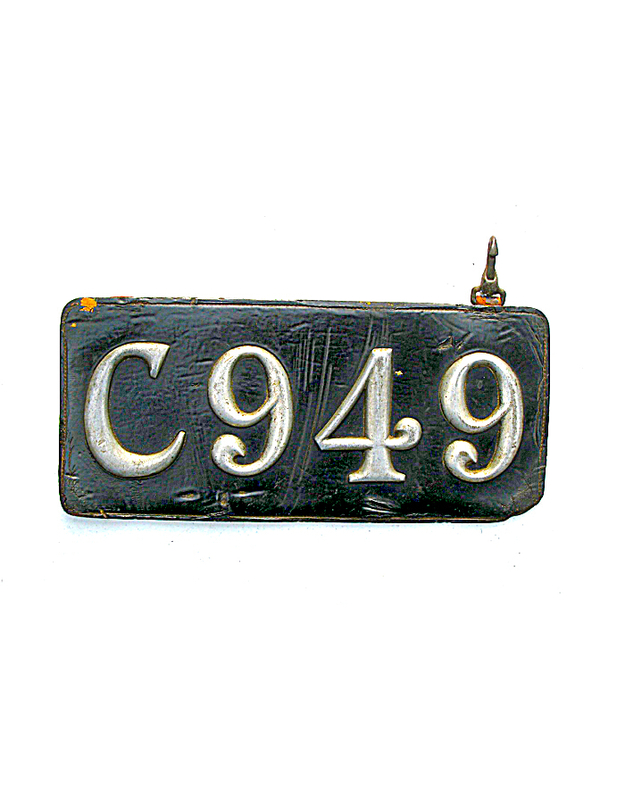 In 1903, Connecticut became one of the very first states in the nation to require statewide licensing of automobiles. 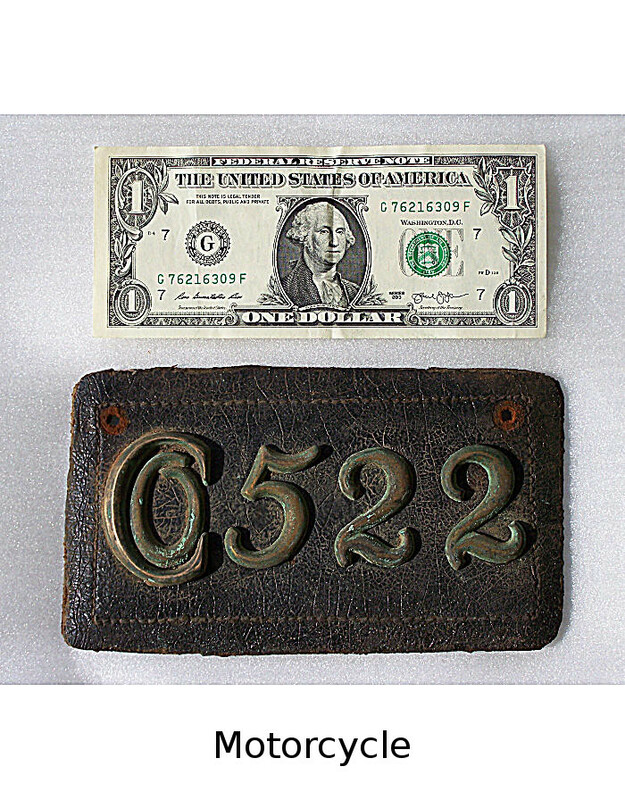 Owners filed with the Secretary of State and in return received a numbered certificate of registration. 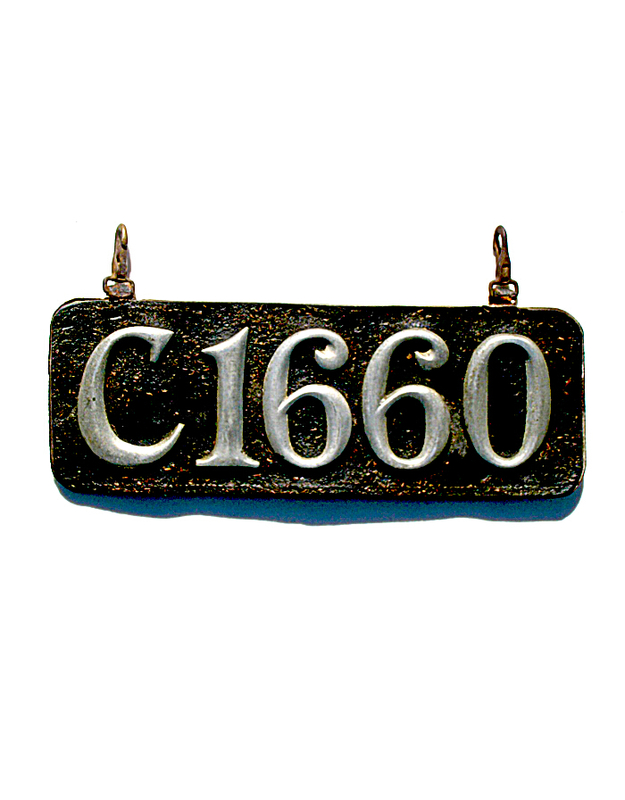 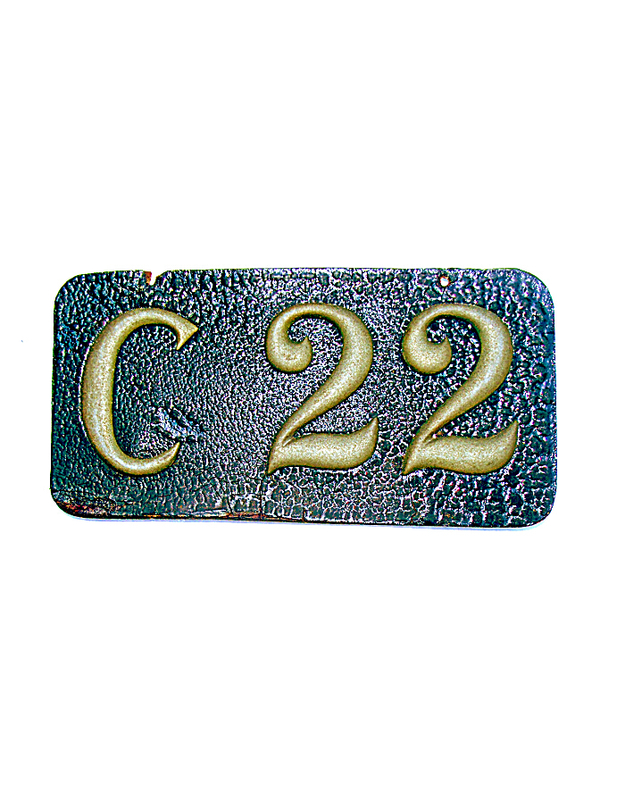 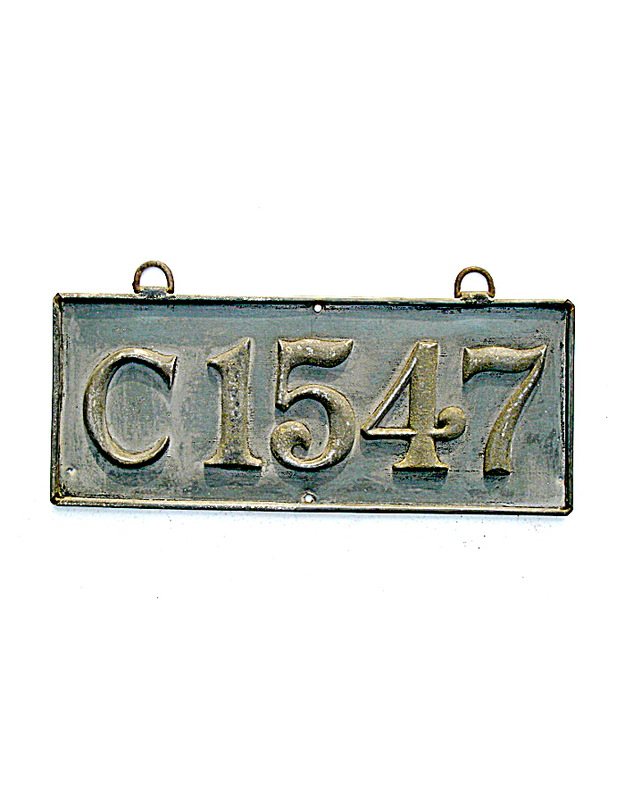 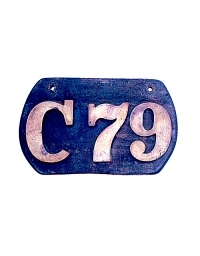 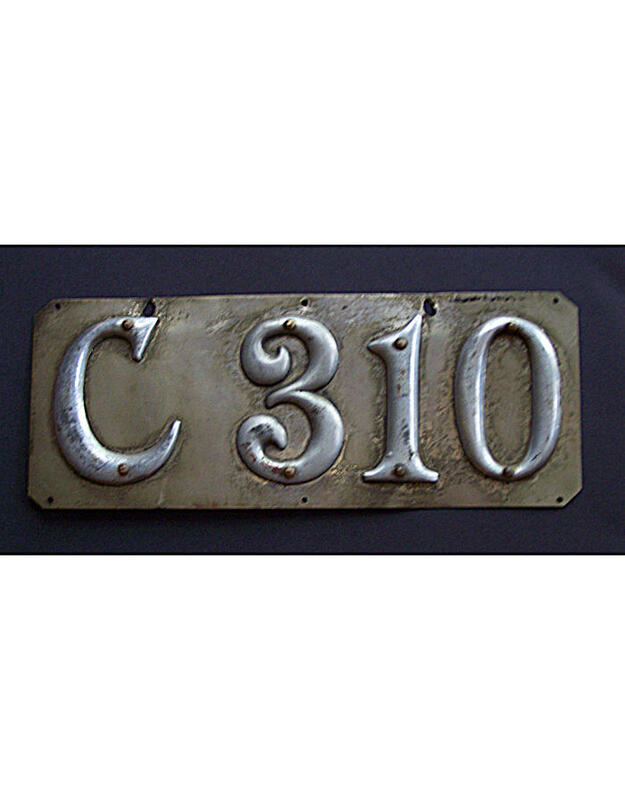 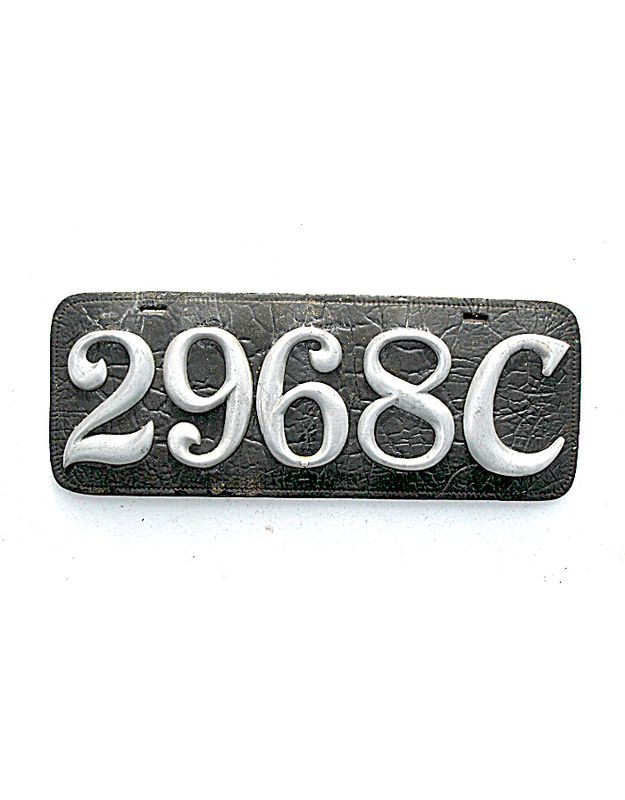 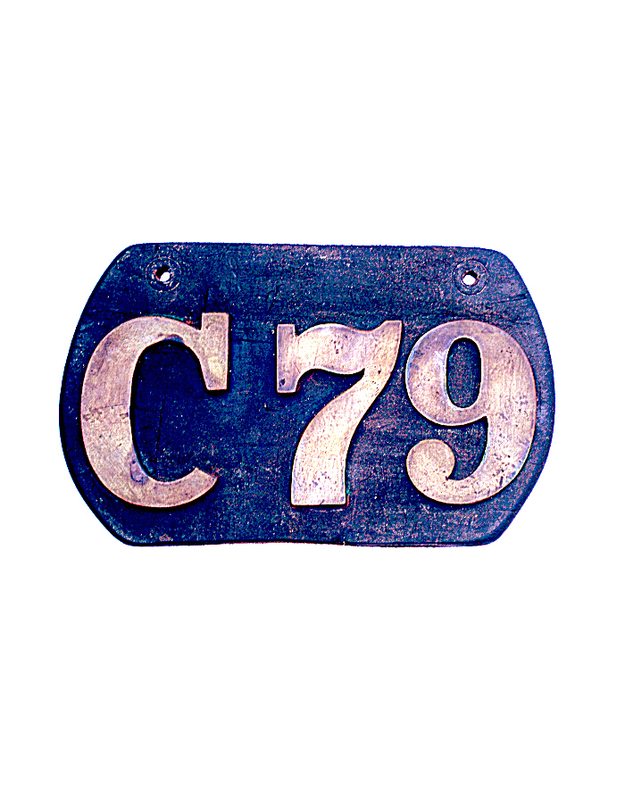 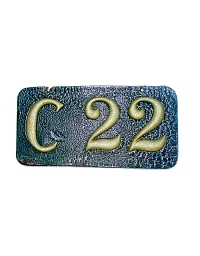 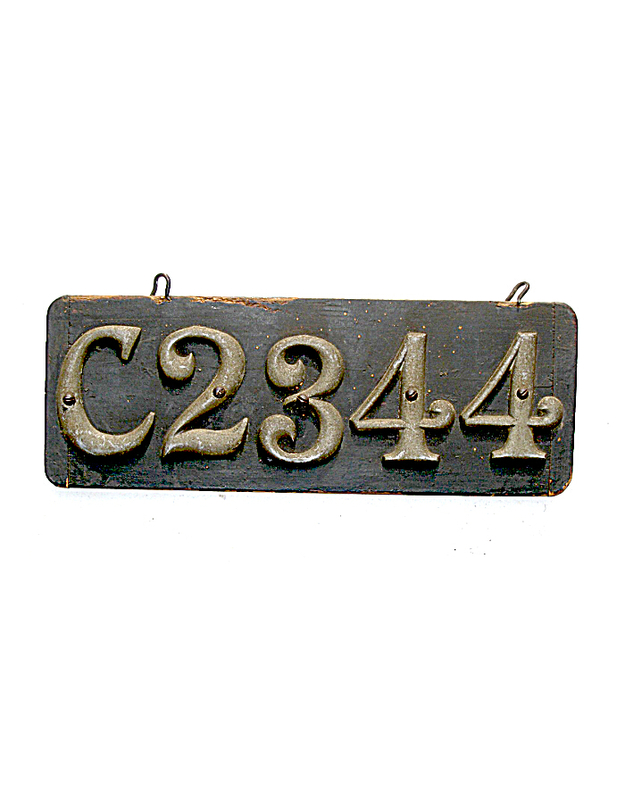 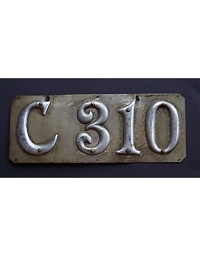 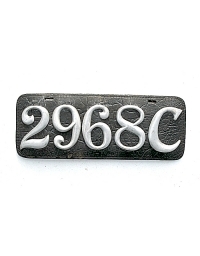 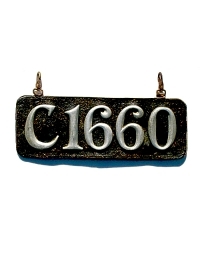 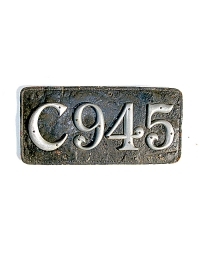 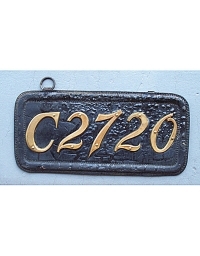 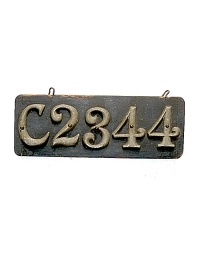 It was the responsibility of each motorist to produce a pre-state license plate bearing the number on the certificate, prefixed by the letter “C”. 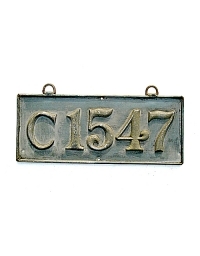 Plates were not dated. 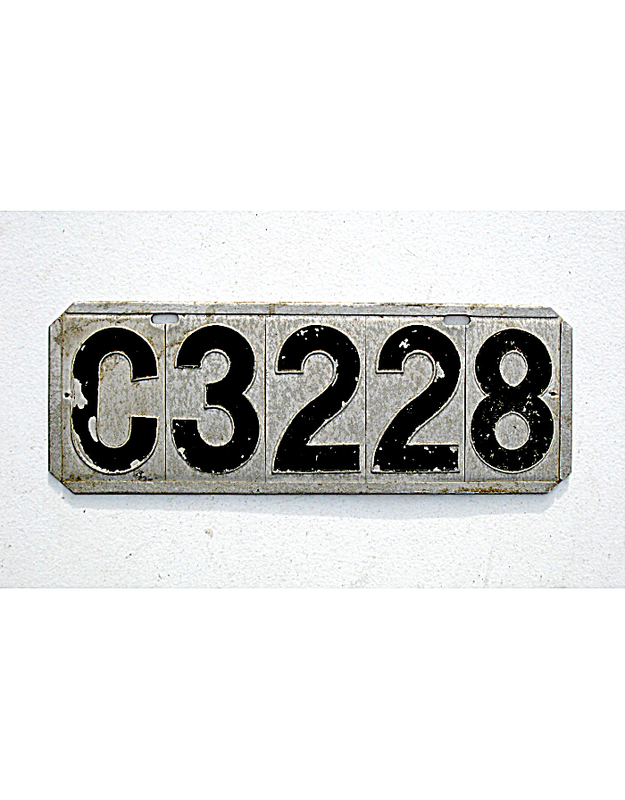 Approximately 3,300 autos were registered during the two years of the pre-state era. The most commonly used material was leather with house numbers attached. 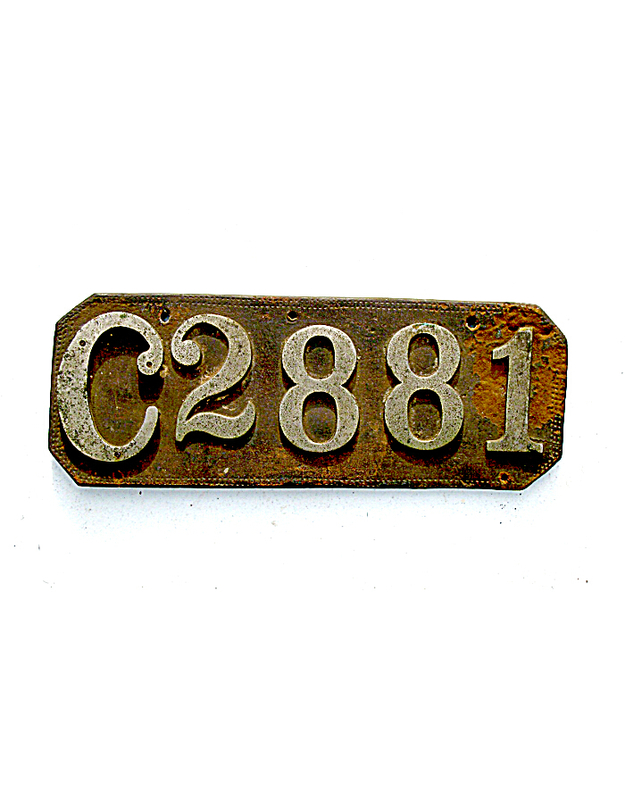 Some were made by the Horace E. Fine Company of Trenton, NJ under contract with individual owners. 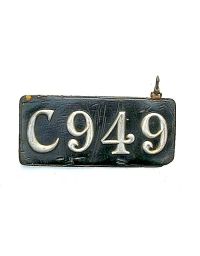 Use of owner-made licenses was discontinued in the fall of 1905 when the state provided official license plates to all motorists.